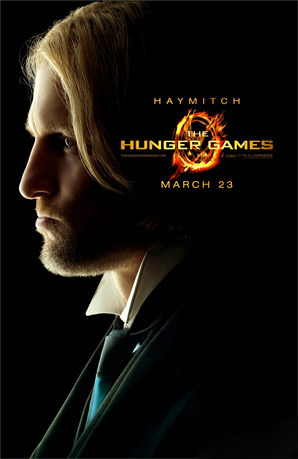 Eight Profile Character Posters from 'The Hunger Games' Revealed! Time to meet the cast! 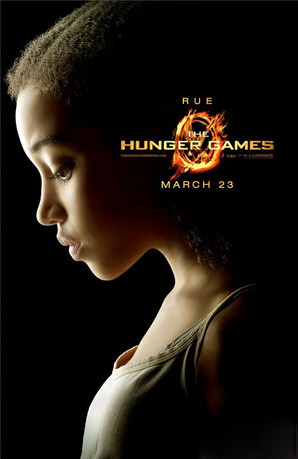 Lionsgate has unveiled a series of eight brand new character posters for Gary Ross' adaptation of The Hunger Games, each featuring a profile shot of one of the eight primary characters in the movie. As we've only seen a handful of photos before and a short teaser, this is our very first look at a few people: Elizabeth Banks as Effie Trinket (via EW), Woody Harrelson as Haymitch (via IGN) and Lenny Kravitz as Cinna (via Fandango), Katniss' stylist at the Capitol. We've got all eight grouped below, as this is a great poster set, albeit very basic (black backgrounds, nothing but the logo). See them all below! Katniss is the only one facing right; and I kept both Effie and Cinna last, because they're both so colorful and striking in comparison, but that's exactly how Panem is. Which character is your favorite from these? Click on any of the posters above to be taken to the original source for high res versions of any of them. With these posters unveiled, we expect to see a new trailer and more Hunger Games marketing coming this fall. 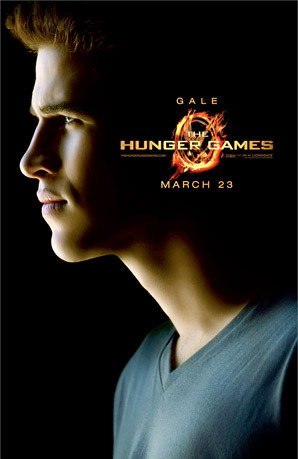 The Hunger Games is both written and directed by Oscar nominated filmmaker Gary Ross, director of Seabiscuit and Pleasantville previously, but also writer of Big, Mr. Baseball, Dave, Lassie, Pleasantville and Seabiscuit. 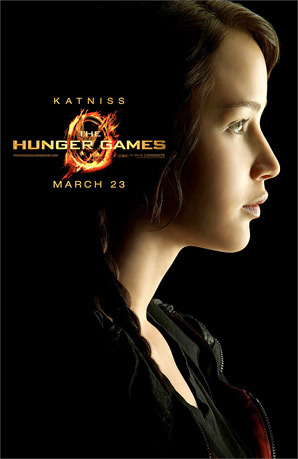 It's adapted from Suzanne Collins' popular series of novels, first published in 2008. 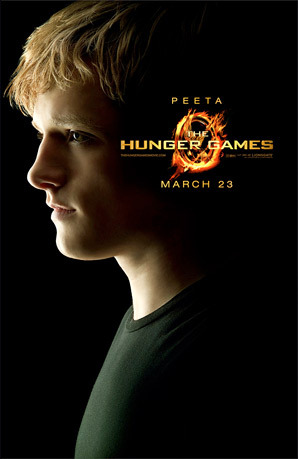 Lionsgate is bringing The Hunger Games to theaters everywhere starting March 23rd, 2012 next spring. Excited yet? OMG! Woody Harrelson has hair?! Holy crap. They all look fabulous and totally in-character. *approved*! Woody Harrelson with hair... Can't believe it... 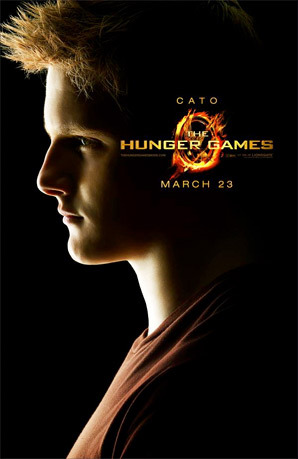 I don't like Cato's hair... Thought it would look more royal-ish or upper class. 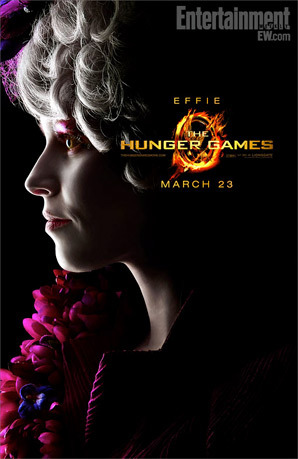 And I hate Effie... Well, the actress for Effie. Favourites are Katniss, Peeta, Rue, Haymitch atm. I am very impressed! Can't wait to watch it! I like everyone but Cinna. 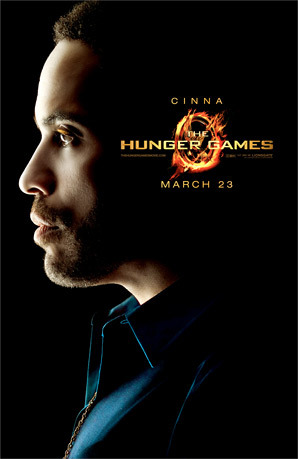 But that's just because I have a paranoid Cinna-must-look-exactly-as-I-imagined-him thing going on, so ignore me. Ha, I feel the same way about Cinna. No actor could ever match my vision of him. Ah well.. I'm not sure what to think about Haymitch with the long hair, it's going to take time to get used to, otherwise all of them looks more or less how I imagined them.